Thomas Allen (1849-1924) was an accomplished artist when he arrived in San Antonio in 1877. 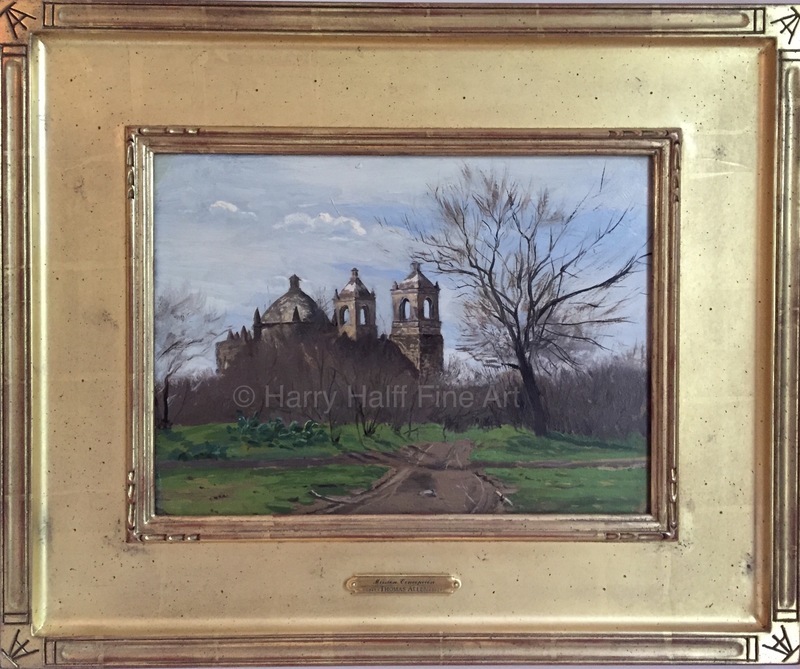 He was fascinated by the Mexican carretas and the frontier culture, but perhaps his best-known painting, Market Plaza, is a representative of the impact San Antonio had on his work. Harry Halff has been dealing in fine art for over 30 years, initially as a private dealer in Europe, Scandinavia, and America. Harry is the Catalog Raisonne expert on Julian Onderdonk’s works, and deals in 19th century American painting with an emphasis on Early Texas Art. The gallery has handled a large number of Allen’s paintings, both finished compositions and his detailed oil sketches.